Rebecca Adenekan LL. B, (B.L). LL.M is the founding Partner of TREND LAW (O. Rebecca Adenekan Professional Corporation); she practices diverse areas of law. Particularly, family and Criminal law which often overlap, including but not limited to divorce, custody, child welfare, child and spousal support, and property division. Ms. Adenekan regularly appears before the Provincial and the Court of Queen’s Bench in Calgary and environs. Her practice also includes wills and estates matters. She has a wealth of experience from being qualified in another commonwealth jurisdiction prior to relocating to Calgary; she has extensive experience working for non - profit organisations in Calgary. As a Legal Ease specialist at Elizabeth Fry Society of Calgary, she assists women who had passed or going through the criminal Justice system by helping them navigate the Courts. Furthermore, while at the YWCA, Rebecca channeled her energy in revitalizing her position as a Community Liaison Officer to an advocate for women going through or who has been through domestic violence to obtain legal assistance or solution required. Her background working at different levels of the justice system has help shape her reasoning and commitment to serving her clients depending on their areas of needs. Since legal issues are highly emotional, hence she encourages amicable resolution via alternative methods. However, where conciliatory and mediation is ineffective, Rebecca is a vivacious litigator who advances her clients’ cause. She has indeed established a reputation for providing strategic advice and solution to clients for efficient resolution of all legal their legal issues. She is very passionate about obtaining the best possible results for her clients and their family and has a substantial amount of experience dealing with all issues associated with common law separations and divorces. Also, she is an advocate for cohabitation and prenuptial agreements and is regularly negotiating and completing these contracts for her clients. In the areas of criminal advocacy, Ms. Adenekan is an amicable Defense lawyer, who will explore all available means to deal with the crown to resolve issues, with the ultimate goal of attaining a favourable outcome, where this is impossible, will without hesitation proceed to trial. She is extremely vibrant, accommodating and provides the most cost - effective solution to her client’s legal needs in her areas of expertise. 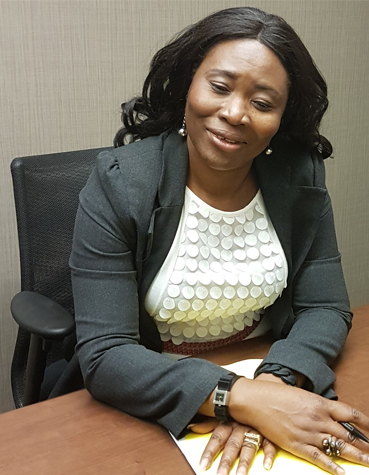 Ms. Adenekan’s extracurricular activity includes swimming and travelling, she is actively involved in her community; her pro bono activity includes volunteering at the Central Alberta Legal Clinic. 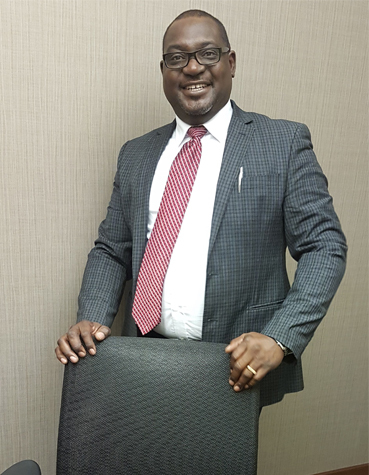 Olusola (Sola) is a partner at Trend Law, he has a wealth of expertise, practicing extensively in Civil, Commercial, Business and Real Estate litigation. Prior to immigrating to Canada having qualified in Lagos Nigeria, a commonwealth jurisdiction, he obtained his LL. M (Masters of Law) in Intellectual Property from the Southampton Solent University in England. He has worked at several establishments prior to joining Trend law, first as a Legal Services Officer with Legal Aid Alberta and then Contract Administrator with SAIT Polytechnic amongst others. As a general practitioner, he possesses immense knowledge of law in several areas and has also gained reasonable experience with focus in the areas of Immigration, Civil, Criminal, Family law and Corporate practice. Though, he operates from Calgary but has assisted clients within and beyond, including Canmore, Red Deer, and Okotoks. Sola is known for his strategic advice to clients for the effective resolution of their matters. He is both litigator and a dealmaker, he is extremely energetic and can take a matter to its final verdict or a complex contractual transaction to its final signature, as a mediator he is able to come to a resolution quickly while preserving amicable relationship with all the parties. Olusola’s enjoy watching soccer, reading, travelling and relaxing with family. He is also a very outgoing personality and good host.